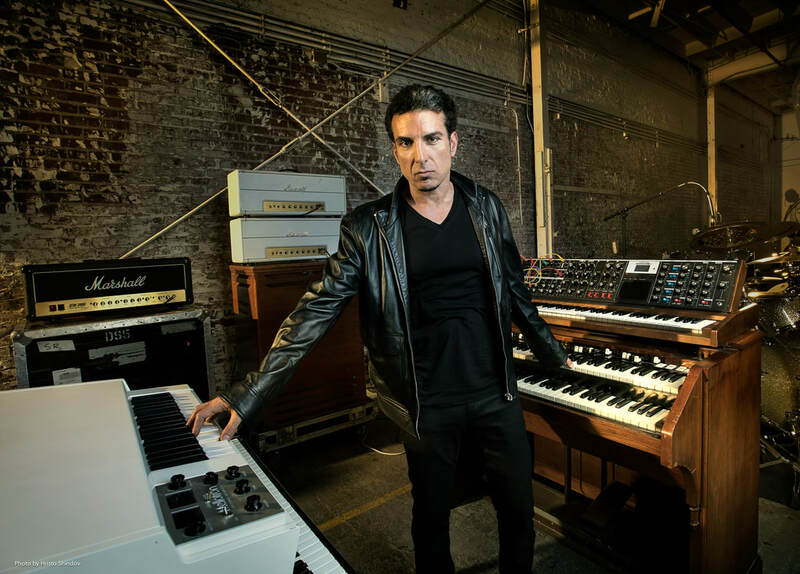 Although many will always associate Derek Sherinian with his tenure within the Dream Theater ranks, he has proven time and time again over the years to be a prodigious musician whose abilities have given birth to numerous top-notch albums. Sherinian plays in a style very akin to a guitar playing, often turning his keyboard at a reflexive angle; and his dynamic and virtuoso performances has gained him a considerable amount of praise and respect in the music world. Following his departure from Dream Theater, he has led or participated in several successful projects, and released a handful of solo albums featuring an enviable array of high-profile collaborations. In the wake of his involvement in the Black Country Communion project his star has risen higher than at any other point in his career, and now he’s in full force with his new band Sons Of Apollo, a progressive metal supergroup formed last year and composed of his old partner-in-crime Mike Portnoy, bassist Billy Sheehan, vocalist Jeff Scott Soto, and guitarist Ron “Bumblefoot” Thal. Mike Portnoy, Derek and Billy Sheehan previously toured together in 2012 and 2013 as PSMS (along with guitarist Tony MacAlpine), playing all instrumental versions from each of their previously recorded music. Sons Of Apollo comes alive as the natural progression of that collaboration, in the form of a fully formed band, incorporating progressive style and individual technical prowess with the swagger and groove of Van Halen, Deep Purple and Led Zeppelin. Author and contributor Rodrigo Altaf interviewed Jeff Scott Soto some days ago, and now he had the opportunity to chat with Derek regarding what’s coming in the Sons Of Apollo‘s world. You can hear the whole interview audio below.